KNEEL! Son of Jor-El. A three colour screen print on A2 natural white premium stock at 280 gsm. 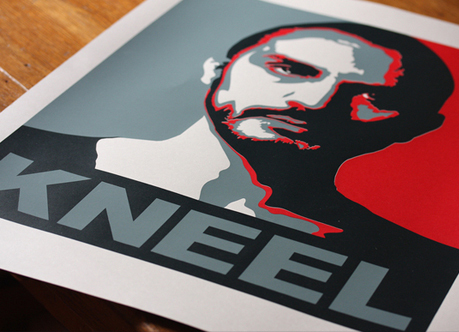 A homage to Superman II with love and respect to Shepard Fairey and Terence Stamp.